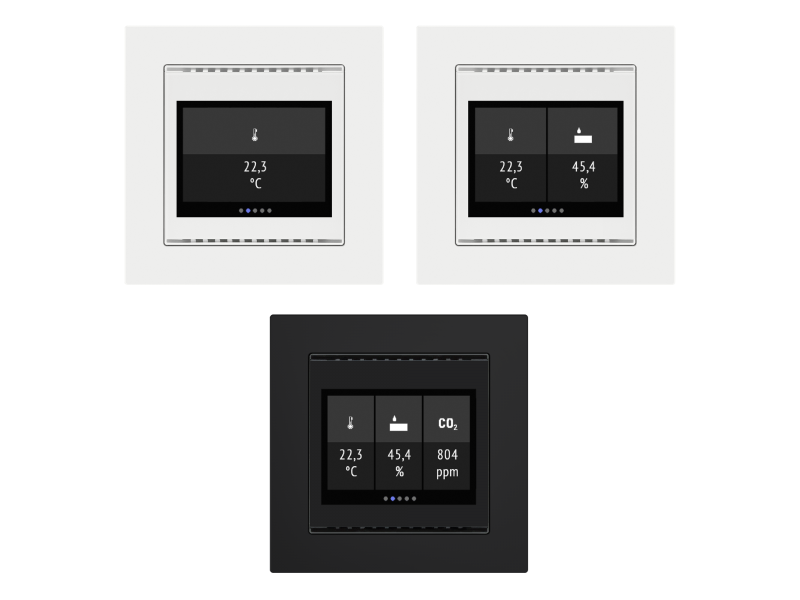 The Room Controller Cala Touch KNX for the KNX bus system measures various ambient climate. 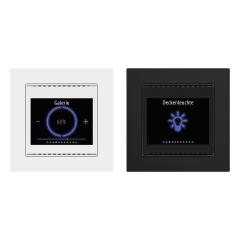 Via the bus, the indoor sensor can receive external values and process them further with its own data to a total value (mixed value, e.g. room average). All measured values can be used for the control of threshold value-dependent switching outputs. States can be linked via AND logic gates and OR logic gates. Multifunctional modules change input data as required by means of calculations, querying a condition, or converting the data point type. In addition, an integrated manipulated variable comparator can compare and output variables that were received via communication objects. 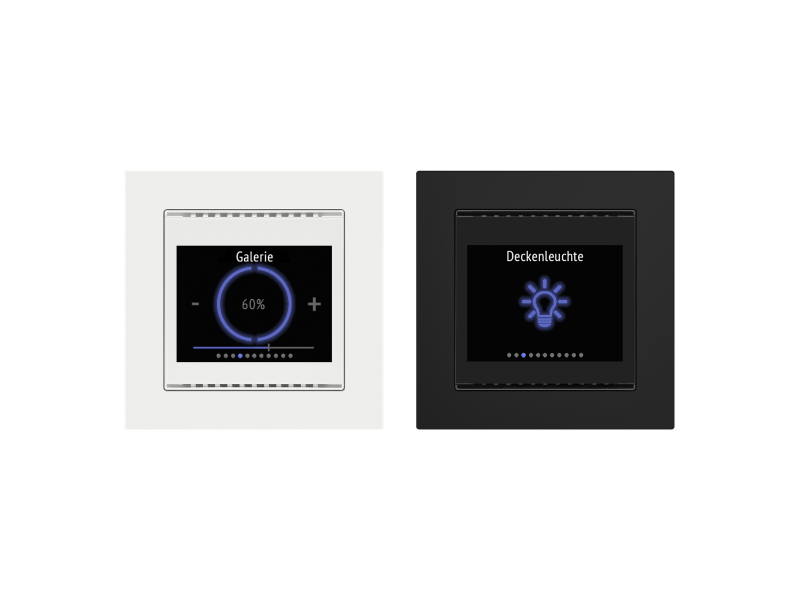 Cala Touch KNX features a touch display that shows various display and control pages depending on the individual configuration. 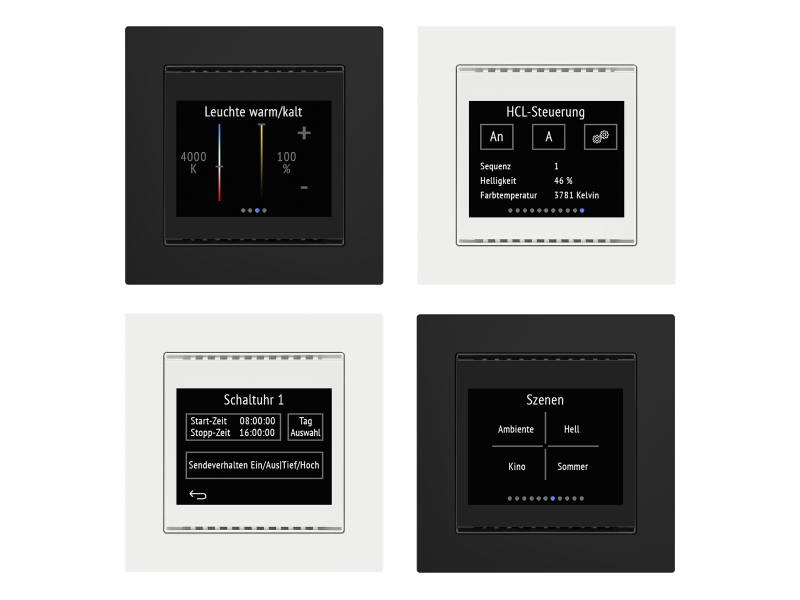 There is one page available that shows the current measured values, a menu area to adjust device settings and pages with touch control elements for internal temperature control, for light (manual switching or dimming), for shades or windows (manual operation). 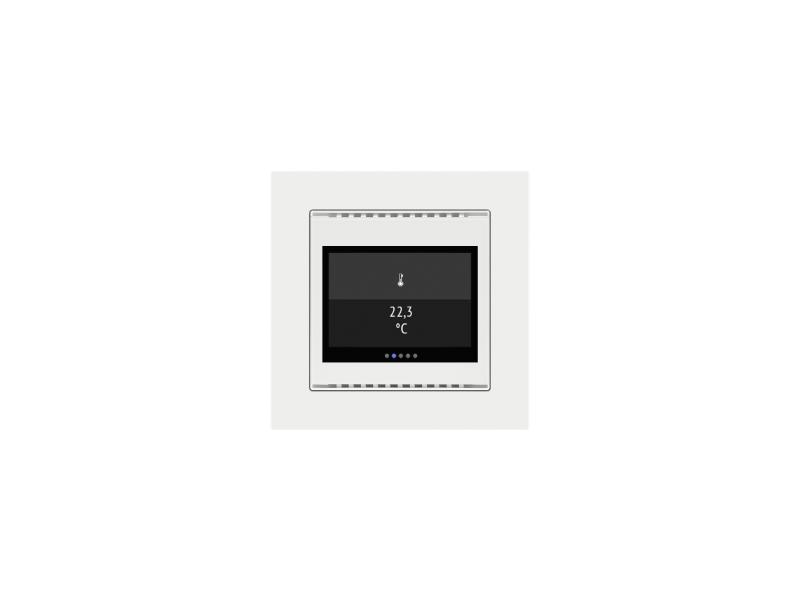 The integrated timer is a useful helper in everyday life. 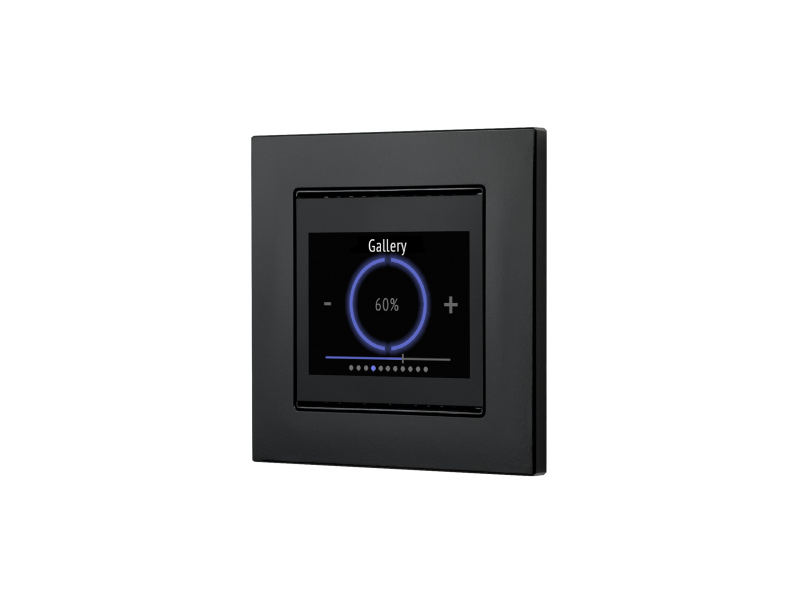 Cala Touch KNX is supplemented with a frame of the switch series used in buildings, and thus fits seamlessly into the interior fittings.